Earlier in the week I texted Kristin, asking for prayer. I’ve known Kristin since I was probably 13 or 14, and because she’s a few years older than me, she’s one of those friends who has always felt a little bit like a big sister as well. A couple hours later, I found myself sitting on her couch, putting words to the thought running circles in my mind: When is God going to bring the right person into my life? Of course, when you focus on one thing you don’t like about your circumstances, you start to see a million: I wish my car wasn’t so old and about to poop out. I wish I had a place to decorate and make my own. I wish I were closer to my goals. That’s discontentment, though. It’s like droplets of rain on a windshield—they start out small but if you don’t use your windshield wipers to clear them away, pretty soon they’re all you can see. In a way so true of who she is, Kristin listened to me with genuine care and offered me encouragement, truth, perspective, and a few good laughs along the way. The next night I was at Omega, our church’s youth group, where Kristin’s husband Charles is the youth pastor and I’m one of the senior girls’ small group leaders. Charles’ sermon was on giving thanks and the more he spoke, the more I was sure God was speaking to me. All the things he said were SO good, but a few stood out to me most. One was a quote. Charles talked about how discontentment is not the example Jesus gave us. Even when His hour of suffering had come, leading to His crucifixion and death, Scripture puts emphasis on how Jesus gave thanks (Luke 22:19). He, “for the joy set before Him, endured the cross and despised its shame” (Hebrews 12:2). Even when things were literally as bad as they had ever been, Jesus gave thanks. Then there was the simple reminder that sparked a thought. Charles talked about how psychology shows that practicing gratitude dramatically improves our lives—studies show that people who spend just five minutes a day writing out things they are thankful for are happier, have better relationships, exercise more, are more successful, and so on. When I got home after youth group, I picked it up and began to thumb through its pages. I felt its words slowing me down, pulling me into the present. My heart began to soften. It showed me a few different things. It showed me who I am. In the pattern of things I wrote down, I saw a picture painted of who I am in the little things that bring me delight. Thank You Lord for the beautiful sound of birds chirping outside my window. Thank You for a clean, cozy room with twinkle lights that make my heart happy. Thank You Lord for a Saturday morning to sleep in, rest, journal, and read. Thank You for the spontaneous adventure I got to go on this weekend. Thank You Lord for quality time with friends. Thank You for the opportunity to serve in a place like Omega. Thank You Lord for the work you’re doing in my life. Then one, which seemed to be repeated more than most. Thank you God for the sound of rain falling outside my window as I woke up this morning—it’s such a comforting, happy sound. It showed me what matters most. In the pattern of things I wrote down, I saw that the moments that meant most to me weren’t moments of “success” when I hit a new milestone or achieved a goal. The moments that meant most to me were moments of connection. Thank You Lord that I got to Skype with Kelly today. Thank You for the conversation I had with the stranger sitting next to me on BART, and the way I saw You through it. Thank You Lord for the laughter and joy I got to share with my Bible study friends tonight. Thank You that I get to visit Heather this weekend. I have a tendency to become task-oriented and focus all my energy on checking things off the to-do list, thinking achieving things is what’s going to make me happy. But in all my mad rush to get where I want to be, I sometimes forget that “achievement” has never made it on my gratitude list anyway. People have—and they're all around me, right here where I already am. It showed me that the present truly is a gift. 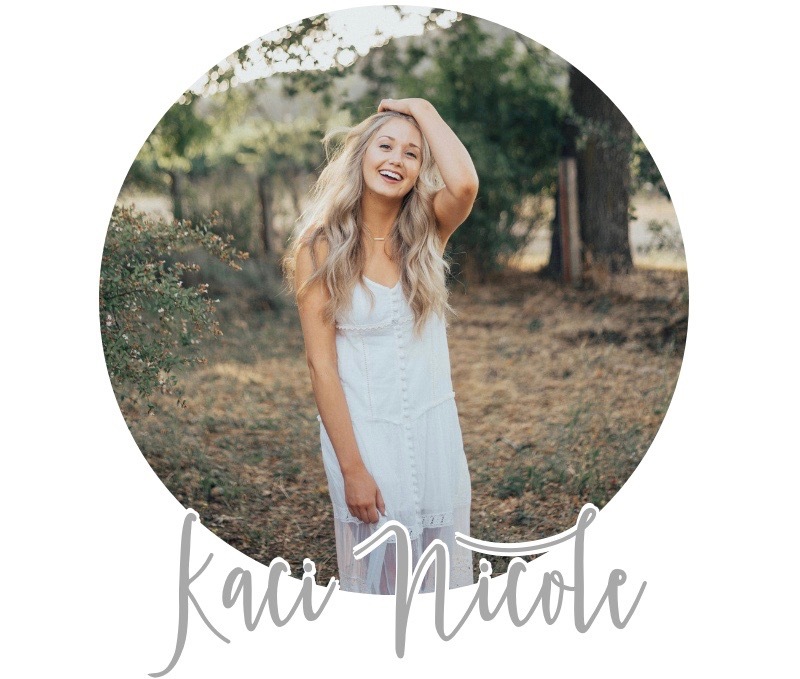 Many times before, Kristin has encouraged me to enjoy the unique blessings in my season of life—like having time to pursue passions and purposes God has given me such as this blog, because doing so will look different when I’m married, and a lot different when I have kids. Of course having never been there, it’s harder for me to see. But looking back on my joy journal, in the pattern of things I wrote down, I saw clear as day, she was right. Thank You Lord for an evening at home to write. Thank You for a Saturday spent working on this project, and the deep sense of satisfaction it brings. I saw that in this season, God is giving me a gift because He’s a good Father who knows His daughter—and suddenly I felt a little bit like a spoiled brat who was rejecting it because it wasn’t the one I wanted, rejecting in the process the heart of a Father who genuinely means good for me. Yet another line showed me that God’s good gifts are often tied to specific periods of time and once they’re gone, they won’t return. Thank You Lord for the opportunity I have in this period of life to live with all of my immediate family members. Little did I know, not four months after that line was written, my brother would move out on his own and meet the love of his life, Jessica—who will become my sister next May. All four of us together under the same roof was a gift which, in the moment I thanked God for, had no idea would soon come to a close. It reminded me I never know what changes are around the corner, or how they may change my perspective on the precious moments I’m wishing away today in longing for what’s to come. The reality is, I don’t know how much longer I’ll get to thank God for a slow Saturday morning to myself or the ability to walk down a hall to say goodnight to my parents in person. I want to receive and enjoy those gifts while I can. It showed me that God is who He says He is, and my circumstances don’t get to name Him. As humans, we’re storytellers—we try to create explanations for the things that happen, but this can be dangerous when it comes to God. We say, “He isn’t answering this prayer because…He’s withholding from me.” But unless our explanations match God’s character, they simply can’t be true—because His character doesn’t change. Besides, I think what brings more hopelessness than any unanswered prayer is the incorrect belief about who God is that we start to develop in trying to come up with our explanations for it. In the pattern of things I wrote down in my joy journal, I saw that gratitude helps me see the immovable truth of who God is—rather than allowing my circumstances to tell me who He is not. 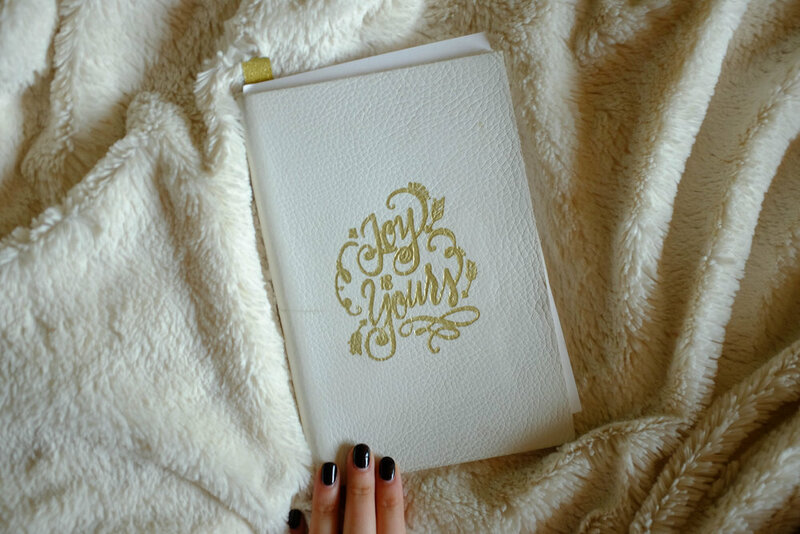 What my joy journal did not show me is that the things I’m longing for right now are bad. They’re not, and it’s okay to feel those longings. But I know one day, I will be in that next season. While it will surely hold new, unchartered joys of a husband and babies and a home to call my own, I wonder if I’ll ever have moments when I look back and miss those slow Saturday mornings when Dad would bring home my favorite Starbucks drink, and time would be mine to spend just me and Jesus before heading off into whatever I had planned for the day. I wonder if I’ll miss the nights I came home from work, plopped down on the couch next to Mama and talked her ear off about my day or all the new ideas I had for my blog or laughed with her about some date that didn’t turn out so well. With my whole heart, I know I will. I’m not naive enough to think there are no more days ahead when I’ll get caught up in discontentment over what hasn’t yet come. I’m human. Thankfully though, there’s grace for those days, too. But right now, I’m writing about this revelation because I want to remember it. I want to remember this—these gifts found in these moments that pass by all too quickly. Because these little things I tend to so easily take for granted, they aren’t actually little things at all. They’re everything. They’re LIFE—in all its wonderful, messy beauty, happening in the right here and the right now, right before my very eyes. I decided I’m going to start using my joy journal again. Because I want to remember, and I want to live grateful. I’m excited to see how God reveals Himself to me and transforms my heart through the journey. One last thought—is it any wonder that as the thoughts for this blog post kept coming to me while I tried to fall asleep, finally prompting me to pull out my phone and jot down notes, I did so—to the soundtrack of rain pouring down like thunder outside my window? God sees me. He sees you, too. His love for, affection toward, and nearness to us don’t change—only our perception of those things do. If our heart’s desire is to see with 20/20 vision, God for who He truly is rather than for who we allow our circumstances to distort Him into, could it be—that gratitude, is the lens that ensures we do? P.S. If you're single as well, I have a resource for you—an online devotional for singles! My heart in writing this was to speak the encouragement and truth I myself have needed to hear on the hard days. If you're watching all your friends get married, wondering when it will ever happen for you, or simply having a hard time waiting on God's timing, this devotional is for YOU!